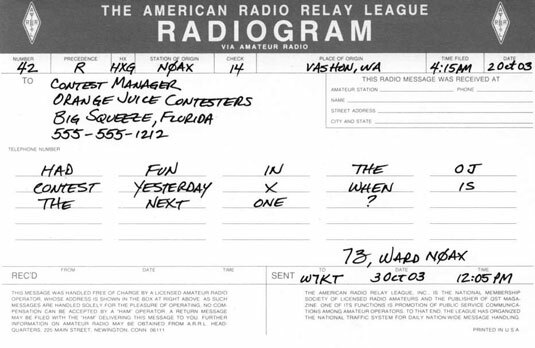 Nets — regularly scheduled on-the-air meetings of hams who have common interests — are among the oldest ham radio activities. The first net was probably formed as soon as two hams went on the air. Sometimes, the nets are strictly for pleasure, to discuss topics such as collecting things, playing radio chess, or pursuing awards. Other nets are more utilitarian, such as those for traffic handling, emergency services, and weather reporting. If a net follows standard operating rules, it’s called a directed net. Nearly all directed nets have a similar basic structure. A net control station (NCS) initiates the net operations, maintains order, directs the net activities, and then terminates net operations in an orderly way. Stations that want to participate in the net check in at the direction of the NCS. A net manager defines net policy and focus, and works with the NCS stations to keep the net meeting on a regular basis. Nets are run in many ways. Some nets are formal; others are more like extended roundtable QSOs. The key is to listen, identify the NCS, and follow the directions. The behavior of other net members is your guide. If you want to check in to a net, you register your call sign and location or status with the NCS. Be sure that you can hear the NCS clearly and that you can understand his or her instructions. If you’re not a regular net member, wait until the NCS calls for visitors. When you check in, give your call sign once (phonetically if you’re using voice). If the NCS doesn’t copy your call sign the first time, repeat your call sign, or the NCS can ask one of the listening stations to relay your call sign. You can check in with business (such as an announcement) or traffic (messages) for the net in a couple of ways; listen to the net to find out which method is appropriate. The most common method is to say something like “NØAX with one item for the net.” The NCS acknowledges your item, and you wait for further instructions. Alternatively, you can check in with your call sign, and when the NCS acknowledges you and asks whether you have any business for the net, reply, “One item.” Listen to other net members checking in, and when in Rome, check in as the Romans do. If you want to contact one of the other stations checking in, you can declare this intention when you’re checking in as though it were net business or wait until the check-in process is complete and the NCS calls for net business. Either way, the NCS asks the other station to acknowledge you and puts the two of you together, following net procedures. Information such as formal radiograms or verbal messages are exchanged during a net, either on frequency or off frequency, while the net operations continue. Nets that exist primarily for discussion of a common interest or for selling and trading equipment, for example, tend to keep all their transmissions on one frequency so that everyone can hear them. This system is quite inefficient for a net that’s intended to route messages, such as in an emergency, so the NCS sends stations off frequency to exchange the information and then return to the net frequency. Here’s an example of an NCS directing an off-frequency message exchange during an emergency communications net that’s using a repeater. In this exchange, traffic means a single message, and EOC stands for emergency operations center. W2—: I have one piece of traffic for the EOC. NCS: W2—, stand by. EOC, can you accept traffic? EOC: EOC is ready for traffic. NCS: W2— and EOC, move to the primary simplex frequency and pass the traffic. This transmission means that W2— and the station at the EOC are to leave the net frequency, change to the team’s primary simplex (no repeater) frequency, and reestablish contact, after which W2— transmits the message to the EOC. When both stations are done, they return to the net frequency and report to the NCS. As a control operator, you still have to give your FCC call sign along with the tactical call sign whenever you begin operation, every ten minutes during operation, and whenever the operator changes. Your emcomm team will provide training to help you satisfy these simple rules.